You are here: Home / Holiday Gifts / Birthdays / The Best Birthday Gift Ideas for Mom! Every time my mother’s birthday is coming near I feel excited to surprise her with something she loves. I make sure that she will feel how much we love and appreciate her. She had given us all the love she can give and as her child I wanted to give back that same love she gave us without expecting anything in return. If you are looking for something to surprise your mother on her birthday, feel free to take a look at this list of great birthday gift ideas for your mother. She will surely be delighted to have this special birthday gift. I remembered my mom when I saw this gift idea. She loves anything that is yellow. She always says that yellow means royalty and she feels that way whenever she is surrounded with yellow things. This birthday gift idea is a memorable gift for your mom. She will definitely love this beautiful necklace. It has a stunning heart design with a yellow-gold heart at the middle of silver hearts. It is made from yellow-gold flashed metal with spring chain and comes with a lovely gift box. It is perfect for gift giving. Treat your mother as a royalty. Pamper her with your love and care not just on her birthday but everyday of her life. Say “Happy Birthday” in your most thoughtful way. This gift idea has a loving way of saying a Happy Birthday greeting to your mom. 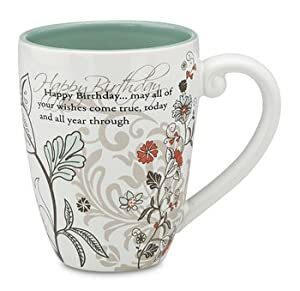 On this mug printed a lovely saying that goes: “Happy Birthday, May all your wishes come true today and all year through.” Your mom will be delighted to have this lovely mug and use it every day. It is a great gift for someone special like your mother. This ceramic mug is dishwasher and microwave safe. As a mother there are times that it is so hard to handle my kids. There are times that they are too naughty to be handled, it is tiring, time consuming, and irritating in sometimes but I find it sweet and fun too. I spend time with them making mess in our room and having fun while playing, just like little dragons. When I saw this gift idea I didn’t hesitate adding this on my list. It is made of 100% cotton in Babydoll fitting and a fainted watermark seal of House of Targaryen as a background with “Mother of Dragons” white script in front of it. Great choice of gift. Mothers are the real wonder woman. They do things that fathers cannot do. Mothers can be a father but fathers cannot be a mother. They give us love, care and everything that the can possibly give. They even risk their life just to give birth. They can the house’s accountant; they can be a teacher, our doctor, a nurse and a caregiver not expecting anything in return. This I find this gift perfect for mothers because they are truly a wonderful person that God has given us. On her birthday show her how grateful you are to have her as your mom. This gift idea is made from machine washable 100% polyester fabric. Of course you only want to give special gifts for a special person in your life. You mom will love this wooden watch. This gift idea is made of 100% natural wood. This lovely wrist watch is created by WeWood that has a great passion in helping saving Mother Earth. They plant a new tree in every watch purchased. In this way even though they are using wood for their product they still plant trees to replace the trees used for this lovely wooden watch. Giving this gift item as a birthday gift for your mom doesn’t just made her happy but helped Mother Earth as well. You gave gifts to two important mothers on earth; your mother and Mother Earth. If your mom loves to travel, this is the best gift you can give and if you want to make it extra special you can buy her a plane ticket and plan a wonderful holiday. If you don’t have enough budget just pick this nice gift item for your mom; she will take care of the rest. 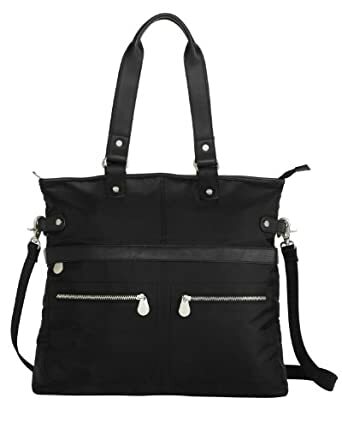 This travel bag is made from 100% nylon with a 10” shoulder drop. It is a beautiful weaved nylon fabric paired with genuine leather trim that adds a stylish touch on this lovely travel bag. It is available in different colors so make sure you pick your mom’s favorite color. LEGO is not just a toy for kids but for hot moms too! Catwoman key light is a practical and useful birthday gift for your mom. This gift idea is a keychain and flashlight combo. It uses LED light that gives out bright lights coming from each foot of this Catwoman LEGO figure. It is something cool and new birthday gift idea for your mom. Give this gift idea just for a change. It comes with free replaceable batteries. This gift idea is my favorite. I am a mom as well I would love to have this as a gift. 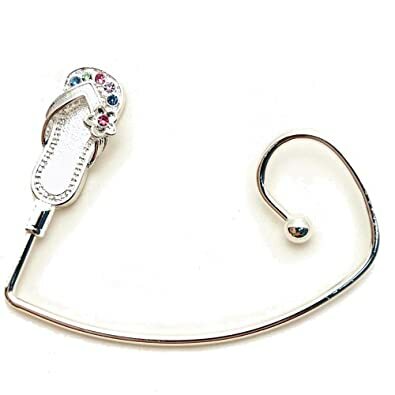 This gift idea is made of metal with a tiny slipper filled with rhinestones. This is made of high quality metal. It is a stylish way to hang her purse when she is eating out with her friends. This is a fashionable and useful birthday gift for your mom. How I wish my kids will give me this gift item too! It’s fun receiving free stuff than buying it! This lovely gift item is made from 100% silk and available in multiple colors. This is a special sleepwear for a special person in your life. Besides from being made of pure silk it is also hypoallergenic, no dyes, paints or bleach used on this sleepwear. It has a drawstring closure and has a very comfortable fit. Your mother will surely have a good night sleep with this sleepwear. She will look absolutely beautiful on this. Great gift idea. 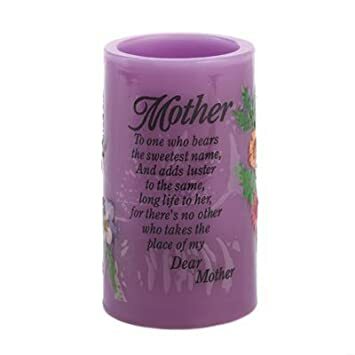 If your mom loves to collect candles or decorative items, this gift idea is perfect for her. This is a special candle made just for mothers. This helps you tell how much you love, value and appreciate your mother. It has a special LED light inside this lovely candle that makes the cute little pressed flowers and a special poem for “Mothers” glow bright. This is a memorable gift that your mom can reminisce at time and time again. Whatever gift item you pick your mother will truly love and appreciate it because it came from you. Whatever it is it will become special as long as you put your love with it. Like what my mother keeps on telling me and my sibling, we are the greatest gift she received from God.